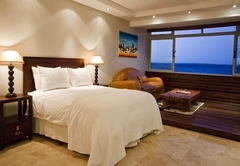 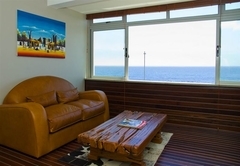 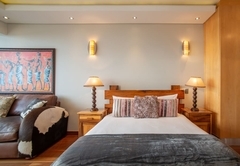 African Beach Studio is a highly recommended property providing self catering in Mouille Point for tourists visiting the Atlantic Seaboard region. 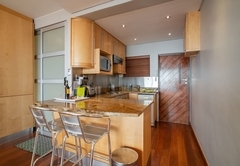 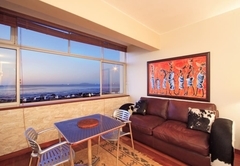 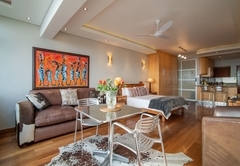 A spacious open-plan studio apartment with magnificent ocean views, which offers self catering Cape Town accommodation for 1-2 guests, on the Mouille Point "Platinum Mile" only 1km from the V&A Waterfront. 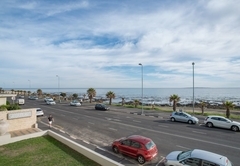 A front facing luxury studio located on the Mouille Point "Platinum Mile" with unencumbered views of the Atlantic Ocean and Robben Island. 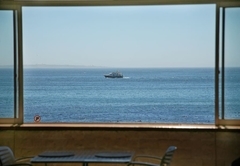 Enjoy the sounds of the lapping ocean, sightings of whales and dolphins, sailing boats on ever changing blue seas and beautiful sunset skies. 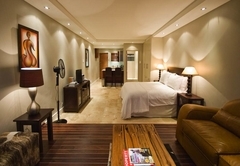 Ideally situated only 1km from the V&A Waterfront, and Virgin Active gym. 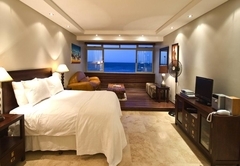 A few minutes drive to the bikini beaches of Clifton, and many bars and restaurants on the Camps Bay promenade, Table Mountain and city centre. 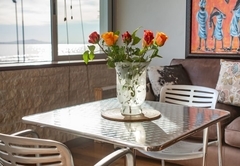 Just a one minute stroll to the Newport Deli and many wonderful restaurants. 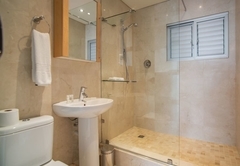 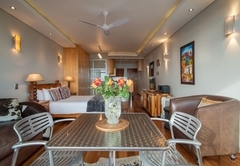 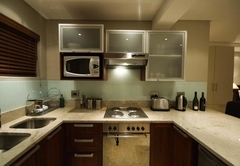 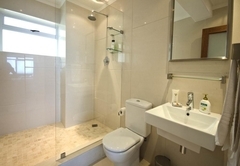 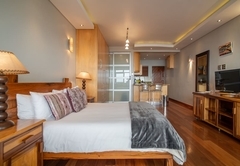 Sea facing open plan studio apartment with maple/stainless steel and granite kitchen (fully equipped), a marble bathroom with walk in shower, queen size bed, DSTV, safe, fans, heating, pre-paid telephone. 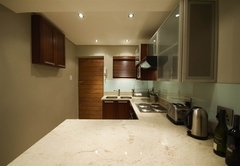 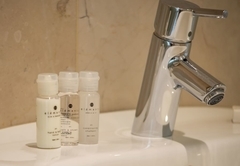 Mini bar, wi fi and laundry service available. 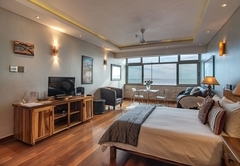 Sea view open plan studio apartment with contemporary kitchen (fully equipped), en-suite with walk in shower, queen bed, raised wooden deck in lounge area, DSTV, Safe, DVD, Mini Hi Fi, Fan, & Heating. 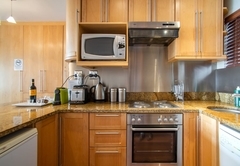 Mini bar, wi fi and laundry service available. 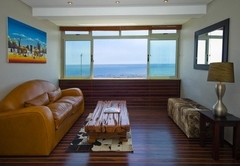 Response timeAfrican Beach Studio typically responds to requests in 5-10 minutes.